If you have trouble finding the perfect fitting pair of jeans, or want the new style that all the celebs are wearing, then it's time to head over to National Jean Company. Not only is the staff highly knowledgeable and able to put you in that perfect pair, but Oscar Adames, J Brand's Celebrity Fit Specialist and Denim Guru will be at the store next week helping customers with fittings. 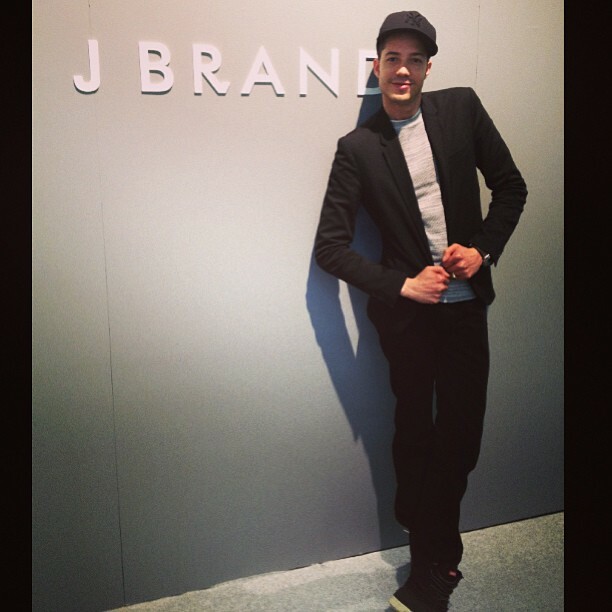 He will be in the Newton Center location on Wednesday September 25th from 11-5 and in the Newbury Street location on Thursday September 26th form 11-5, and the bonus... all J Brand clothing will be 15% off those two days! To top it off, Oscar will be hosting a private event September 25th from 6-9pm in the Newton Center location and September 26th from 6-9pm in the Newbury Street location with private fittings (appointment only) and cocktails. So whether you stop into either National Jean Company location during the day, or call about a private appointment, I guarantee you'll leave looking flawless in your new pair of jeans.